plenty of stock in all sizes, not sure why the comment on no chance of buying them is relevant. Adidas have taken trainers to a whole new depth. I can't sea there being a wave of excitement for these. The had loads of these in a like light lime colour at the Adidas Outlet Store,Banbridge earlier today in plenty of sizes for £30. Worth a look if any outlets nearby. Edit: the colour below. Hey how did you input both codes it will only allow me to input one or the other, not at the same time? Happened to see this on the Adidas website, normally £80 to buy. Yes they ran out of stock! Think these were posted yesterday for £30 at JD Sports. Duramo slides half price on the Adidas website. £8.48, great price. I’m absolutely certain that you think you are. What a shame you’re not qualified to draw any conclusions about my response. I got the shoes POD-S3.1., amazing, comfortable. Delivered by Parcel force, thank god! I bought a pair of uncaged ultraboost for the wife using this! £61 all in - not as cheap as the same shoes were on black friday, but only by a fiver (we bought the wrong size, but the size up was no longer in stock for an exchange, so was offered a refund instead). Been holding off on this purchase and would never consider buying them anywhere near full price. Thanks OP! You really need to sort your issues out. If I wish to leave HONEST feedback and my opinions of a company’s customer service, or lack of it, I’m fully within my rights to. I’m sure Adidas will thank you for supporting them, however. It says a lot about you as a person if all you can do is type lengthy responses on a website during the day, and attempting to slate others. I’ve seen other posts of yours and there’s an obvious trend going on. Loser. So why quote my comment when I clearly stated I prefer to squat without shoes. I started with squat shoes but found I could lift more without. cuponation worked for me, extra 10% off on top of sales price, brill! Unfortunately somebody used it before I had a chance but thanks anyway. I used a code from cuponation and it worked fine. Surely I wasn't the first to grab that? Anyway, it was RNY3-SKX6-QLHP-BTZDG if someone else wants to try. Maybe I was lucky. It does look like a one time use code. Why is the discount not being auto applied at checkout? When does it expire? Does it stack with student discount? Adidas store in the Boulevard Banbridgecurrently selling Stan Smiths at a good price. Good sizes. only size 12 available at Very, have some heat. Definitely not having lots of trainer deals go cold lately. Shame the Prophere's are so heavy. Thanks for sharing but they’re only £37.48 on Amazon, bought a pair last week, most sizes available. Yeah if you the must have latest styles in a certain colour way then yeah the outlet isn’t the place. However I don’t think you should knock it so much. 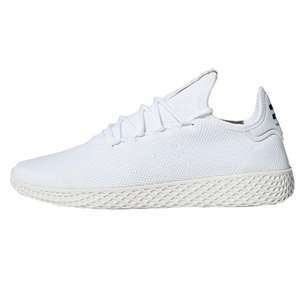 They had sample Deerupts just a couple of weeks ago for £17.95 absolute bargain and very desirable. Rrp is £79.99 and even in the sale they are £39.99 so a lot cheaper. Did have sample written on the inside but can’t be seen when been worn. May lad was delighted with them. Really should have treated myself too I regret not getting some. Someone mentioned the rare samples go for a lot of money on eBay. Also these energy boost were down from £129.95 to a mere £17.84 I don’t even care they look hideous and no one wanted them they are so comfortable. 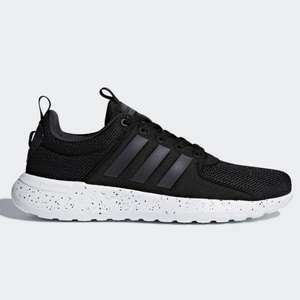 https://www.hotukdeals.com/deals/adidas-womens-energy-boost-womens-running-shoes-rrp-12995-now-1794-adidas-outlet-junction-32-castleford-3144649 Yes it’s hit and miss but certainly some hidden gems to be found if your willing to pop in regularly and have a rummage through. Surely they aren’t that desirable if they’ve not been able to sell them. The stuff in the outlets is tripe. I was there today and would rather spend a few quid more than buy there. They are always negative on every deal I post. I have no idea why, they seem to have a issue with the outlet stores. These are an excellent price for these trainers, and they do have a following. The t&amp;c of the voucher state it doesn't work on sale items so how does it work on these? I think these are lovely. The do look like something went wrong at the factory. Maybe the top worn with jeans will look quite cute on my 2 year old but having the top and bottoms match is a no no. Does it come with a free voucher for a number one head shave and ear stud. Just received an email from Adidas for a 50% off flash sale. I have found cs very good, had a pair of trainers, they developed a fault after 2 months, they refunded me and offered 20 % extra discount on next purchase, Inc sale items. Yep likewise for me. Contacted customer services many times and even rung them up. Had zero issues. Even took back a pair of shoes that were giving me blisters that I had already worn. Cancelled all order with no reason or notification. Contacted them and claim it was systrm error. And offer compensation of 30% discount. I told them, the current offer on your website is 40% discount (mad) Waste of time!!! Adidas is Europe's largest producer of sportswear and, in global terms, is second in size only to Nike. The company was originally formed in Herzogenaurach, Bavaria, Germany in 1925 to produce performance sports and running shoes. 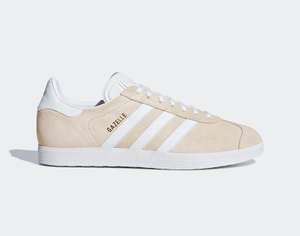 The brand name is derived from the name of founder Adolf "Adi" Dassler. The Adidas Group now consists of the Reebok sportswear company, TaylorMade-Adidas golf company, and Runtastic, an Austrian fitness company. Other than signature running shoes and footwear and clothing for a wide range of sports, Adidas also offers its mi coach series of fitness apps and gadgets. The firm also produces specialised lines of sportswear. These include the Neo line for young people, the Adidas by Stella McCartney line for women, and a high performance line for men in association with Porsche. In addition, the mi Adidas customised gear program lets users have items created to their own specifications. The UK's online store is located at www.adidas.co.uk. You can access products by customer type – men's, women's, kid’s, by sports, or by brand, and also connect to the pages devoted to mi Adidas customisation and mi coach fitness devices. If you wish to browse in a physical shop or try an item before buying it online, you can find a list of outlets sorted by city at www.adidas.co.uk/stores. 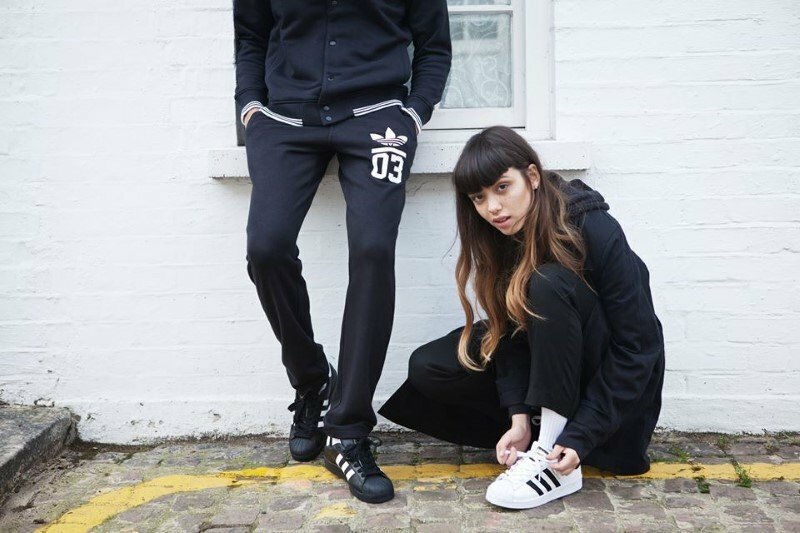 Adidas Originals - Drawing on street culture and featuring classic retro styles, this line of sportswear and accessories offers a wide range of shoes, shirts, sunglasses and bags for both men and women. Adidas also offers special lines such as originals by Rita Ora and Originals by Manchester United. Adidas Neo - A line of casual and affordable footwear and apparel aimed at young people especially teenagers and focusing on lifestyle as well as sport. This sub brand relies heavily on social media for promotion. Adidas by Stella McCartney - Designed in collaboration with fashion designer Stella McCartney, this line of women's sportswear aims to blur the lines between catwalk and treadmill. Featuring svelte designs using a bold colour palette, the line comprises tops, shorts, jackets, shoes, sandals, bags and more. Porsche Design Sport by Adidas - A line of high performance sportswear for men created in conjunction with the German premium car maker, the Porsche line contains a range of items including running shoes, backpacks, caps, track suits, and hoodies. mi Adidas - Offers you the chance to create your own custom edition of many Adidas products. You can also identify items that are available for customisation by the 'Customize It' icon appearing to the side. mi Coach - A line of devices that provide athletes and sportsmen with feedback on their vital signs and other key performance statistics. Adidas first came up with the concept of a computer for your feet back in the 1980s in the form of the Micropacer. Today's models are far more sophisticated and include the Speed Cell, a small item that sits in certain models of Adidas footwear, records data and sends it to an app on your smartphone. The Adidas brand also features fragrances, eye-wear and watches. To discover current special deals from Adidas, there is a special section in the online-shop which showcases all their current deals and promotions. The biggest savings can be found at the Adidas outlet division where you can find goods discounted by up to 50%. You can choose to view all outlet products or browse by shoes, clothing or accessories. Other links let you choose to view offers for men, women, kids, and by level of discount, and select by the various categories such as originals, running, training and football. New users can either order as a guest at adidas.co.uk or register an account. You then just enter delivery and billing addresses, pick a payment method, and click 'Confirm Order'. The delivery address can differ from billing address as long as they're both in the same country. After this, orders cannot be changed so make sure your details are accurate. Adidas accepts online payment with Maestro, Solo and Visa debit cards, Mastercard, Visa and American Express credit cards, and PayPal. Standard delivery takes 3 business days while customised mi Adidas orders arrive in 3 to 7 weeks. You can keep tabs on your order by accessing the Order Tracker page. Input your email address and order number and click the "Track Order" button to find out the status of your order. You need to wait 24 hours from receiving your confirmation email before the tracking service becomes available. If you wish to return an order for a refund, you should begin by visiting the Order Tracker page and inputting your details. Identify the item(s) you wish to return, state your reason and choose “submit”. You'll be given a return form and label to print out. Enclose these with the goods in the original packaging, affix the return label, and send off the package. Adidas processes refunds in 15 days and refunds delivery costs providing they are covered by the company's return policy. Customised items are not returnable unless they're defective. To get information on your online orders, you can call the online shop on the number 0800 2794144 (freephone from local landline), or by e-mail through the contact form. General queries (not involving the online store) should be made to this number: 0800 3893845. Online Shop Customer Service operates between 9:00 and 20:00 from Monday to Friday and from 10:00 to 17:00 on Saturdays. If you have any questions about aspects of ordering online from Adidas, the help page will probably have the answers you're looking for or show you where to find further information. In search of the best deals at Adidas? The dedicated page on hotukdeals will keep you informed of the latest bargains from this merchant.